there Comes summer and a time of white nights in the Northern Capital. This is the best time to visit St. Petersburg and want to use one of the comfortable apartment, who are happy to provide our guests with Hi-Tech Home Apartments. Summer always allows for a long-planned trip. Often it is a trip to some resort, but in 2015 due to the economic situation in Russia got more and more popular not only Western tourist and resort areas for recreation and tourism, but purely Russian. of Course, very popular Moscow and St. Petersburg. In other matters, the popularity of other areas Doge has grown considerably, including in Crimea and in neighboring countries. This is mainly CIS countries. Over the past two years significantly increased the number of tourists who wish to visit the castle of Peter and admire the beauty of the Northern Venice, to visit museums, walk in the gardens and parks of the city, wander the white nights along the river and with rapture to watch the bridges over the Neva. with a focus on the suburbs: Peterhof, Pavlovsk, Gatchina and others. Where there is no doubt something to see. But having been in Grad Peter and not to admire its magnificence from the water this means that to visit just inside one of the palaces without seeing the magnificent façade. every summer season on the rivers and canal Peter offer their services to a huge number of pleasure boats, which often filled jars with herring and tourists have only a certain route. However, in recent years, the city has gained great popularity, the business of renting small boats, among which the powerful of the cruise boats, motor and sailing yachts. You can rent it with a crew or if you have permission to manage. In this case, the route will be limited only by your own imagination and desire. Although the walk is on a particular route will also be unforgettable. The direction of the boat trips may be different - rivers and canals of the city including the river, the visit to Peterhof and Kronstadt, and walk on the waters of the Gulf of Finland. a Special place it is possible to "voice" sailing, where Saint-Petersburg can become a starting point for a trip abroad. On a sailing yacht one of the countries of Europe and visit Venice in Italy. But even a simple walk along the Neva river and the Gulf of Finland in the white night and explored the bridges will remain in your memory for a lifetime. If You have a romantic or honeymoon trip, then walk the waters of one of the romantic and beautiful cities in the world will be unforgettable. Peter and Paul fortress, the Winter Palace, Trinity bridge, Palace bridge, Rostral columns and stock exchange building on the spit of Vasilyevsky island from the water is breathtaking. the Cost of rent is very different and starts from 3000 rubles per hour. However, the limit in the choice and scale does not exist! to Find a suitable offer is not difficult. by the Way, I want to remind you that contacting our single phone number that is located in the site header, You are not even being our guest, can make use of free personal Concierge service that will help with the selection or reservation of boats or yachts and will offer exactly what You are interested. Among proposed options there are a number of regular partners that provide discounts in such cases. Also rent a small vessel for the celebration, e.g. 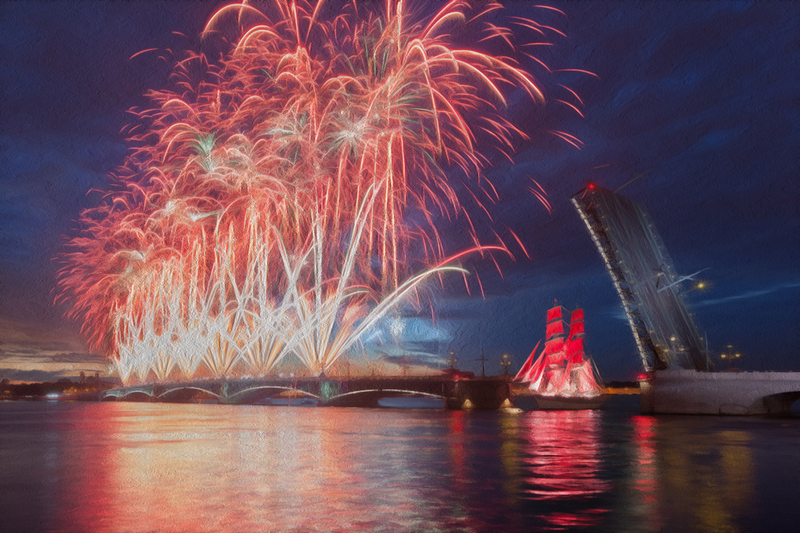 birthday, Anniversary, Wedding and any other event in St. Petersburg, the White nights period will be the best event in my life. At the end of June will be a holiday of graduates "Scarlet sails" , which has recently been reviewed and this amazing event!